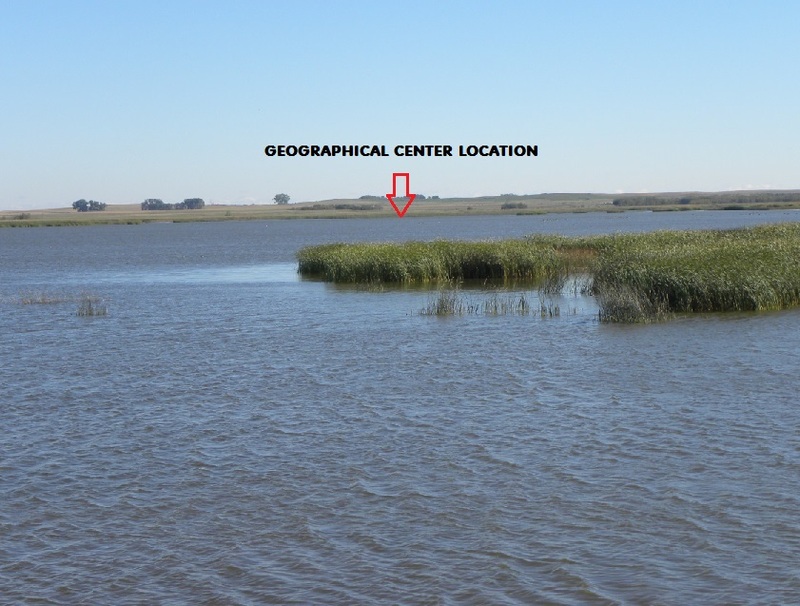 "Geographical Center of North America"
An unnamed lake, measuring 100-acres in size, and located 6.0 miles due west of Balta, North Dakota, is the true location for the 'Geographical Center of North America' as defined by the position of 48�'N 100�'W. 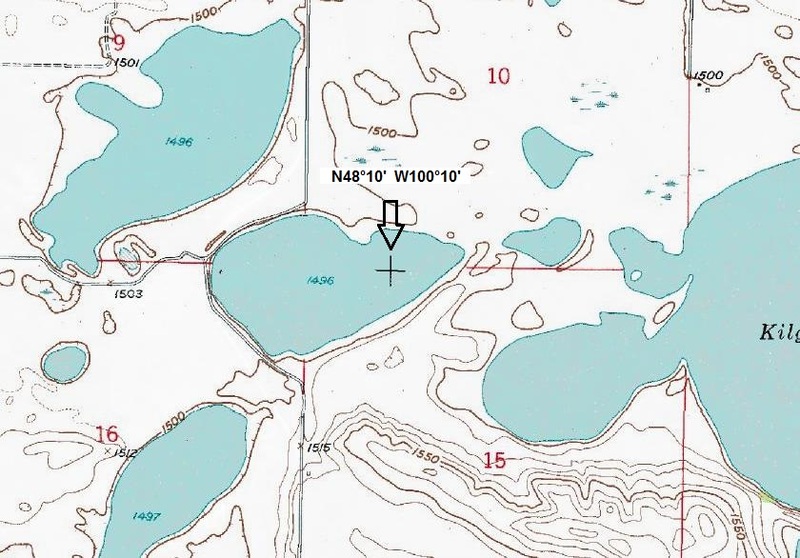 This location falls in the lake itself and is not marked by a physical monument. The monument at Rugby, North Dakota, which is the popular tourist stop and designated at the "Geographical Center of North America", is located approximately 15.2 miles to the northeast. To the east of this unnamed lake is Kilgore Lake which is named on most maps. 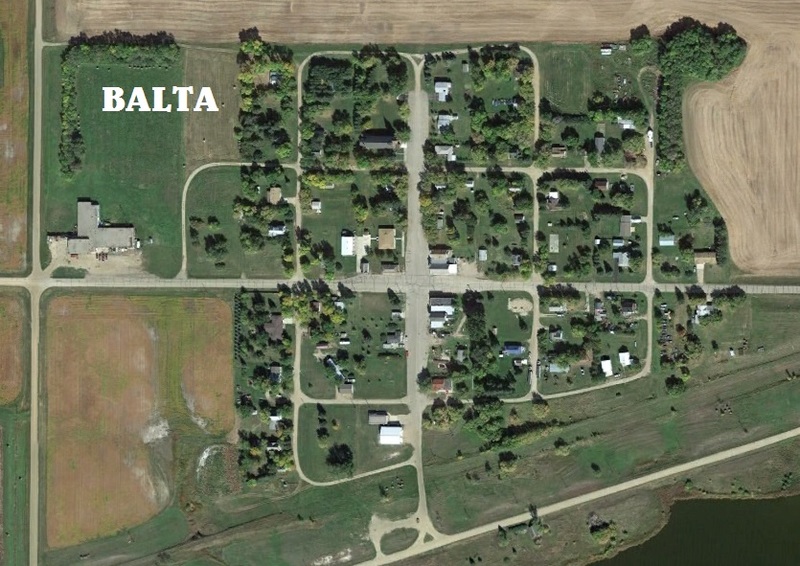 The town of Balta was founded in 1912 and has a population of 65 residents according to the 2010 census. 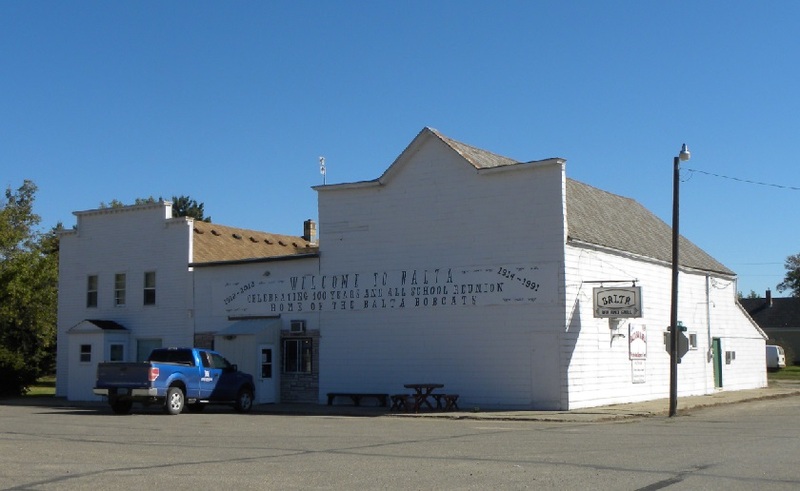 This town could not compete with the county seat of Rugby for the title even though it is the closest populated town by distance to the 'Geographical Center of North America'. The former town of Orrin, located 5.0 miles to the south, is today comprised of a few houses and buildings. 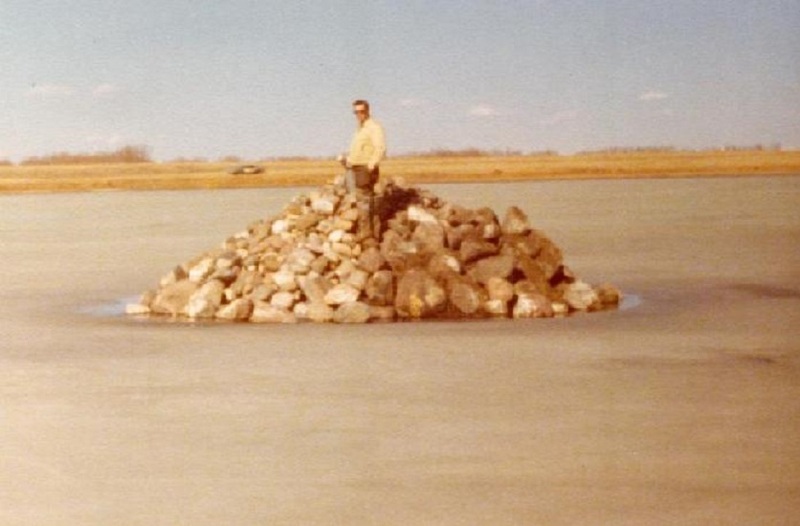 During the winter months of the 1970's, local landowners placed piles of rocks on the ice by lining up with the roads north and south and the road to the west. 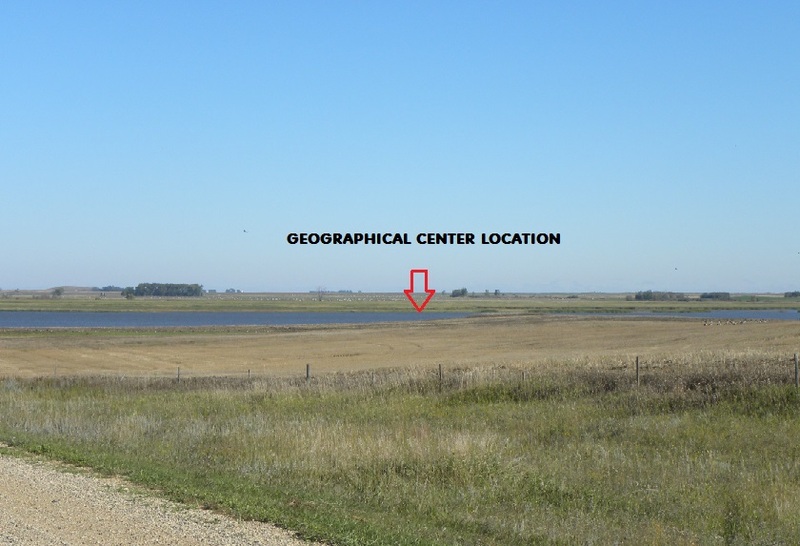 This location would be about 400 yards west of the true location. High water typically hides these rocks. The true Geographical Center location 15 miles southwest of Rugby. U. S. Geological Survey 7.5-minute quad sheet. 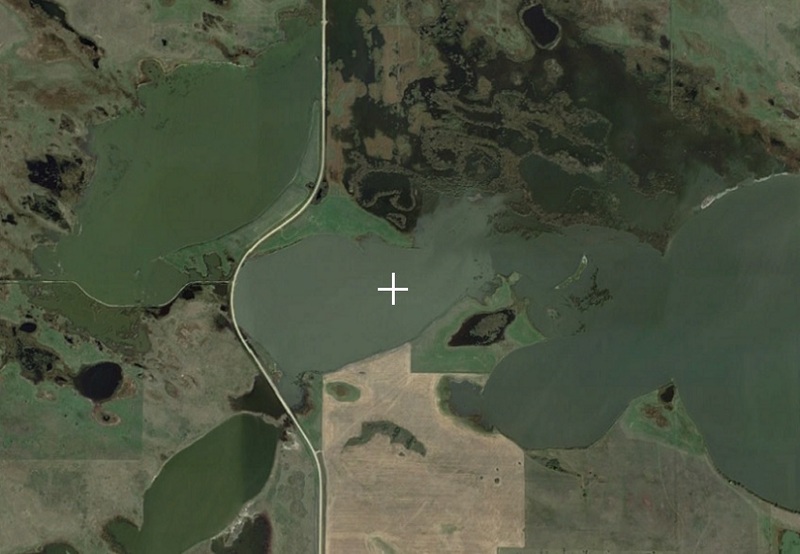 Aerial image of the Geographical Center location in the lake. 6 Miles East of the Geographical Center. Looking northeast from the south side of the lake. Looking east from county road going around the west side of the lake. 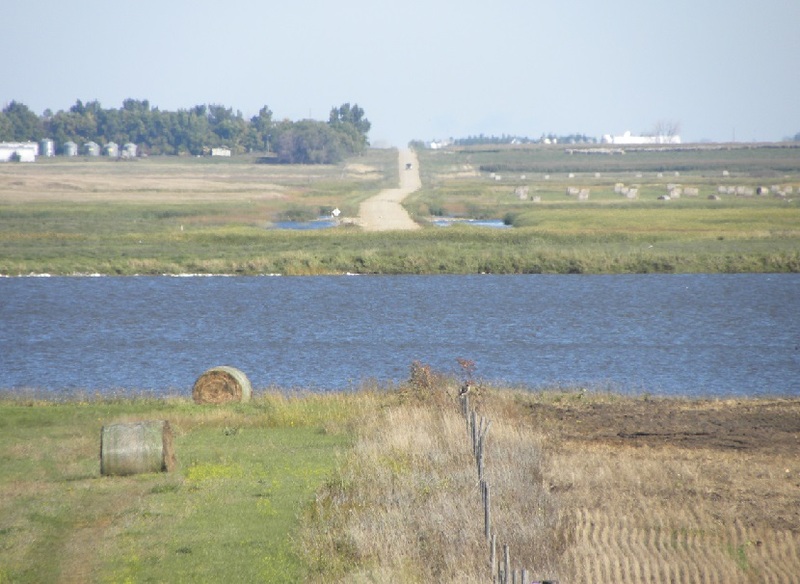 Looking north down county road from south side of the lake. 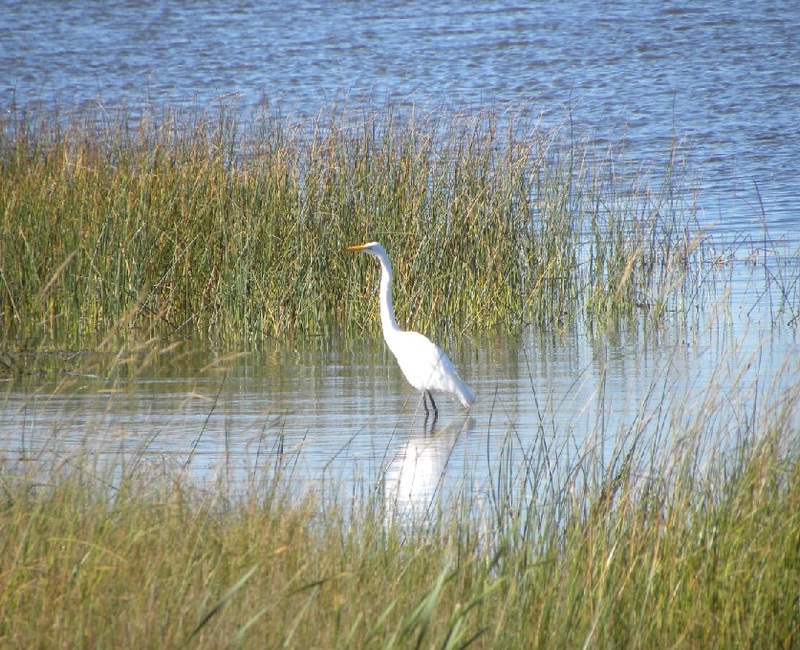 Summer resident of the lake. Business located in the town of Balta. Rocks placed on the ice where the center was thought to be located. 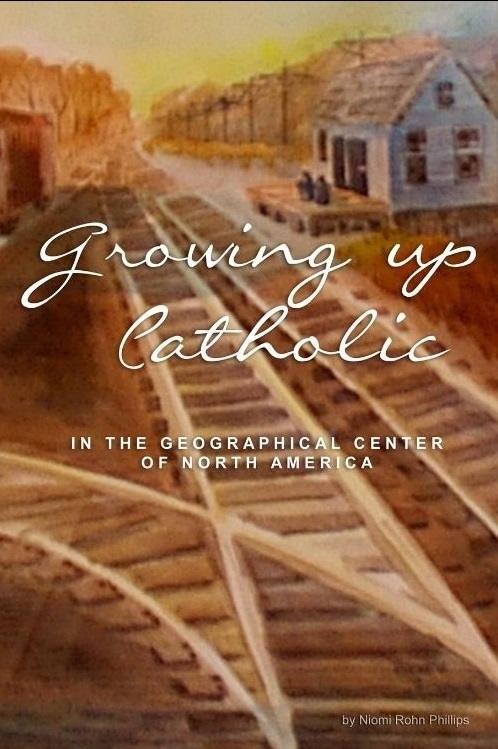 Although this book doesn't mention anything about the Geographical Center, it does give one woman's perspective of what it was like to grow up in the small town of Balta in the 1950's.